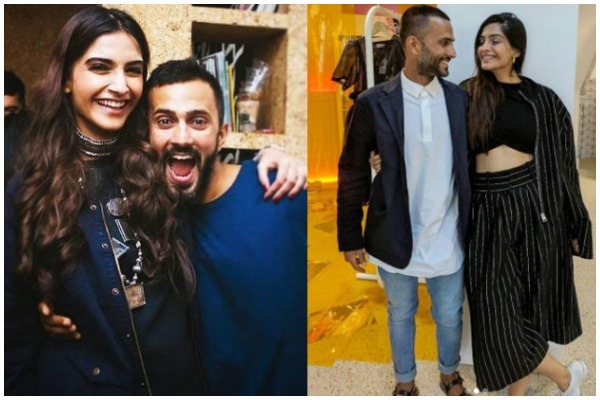 Speculations have been doing rounds that Bollywood actress Sonam Kapoor is all set to tie the knot with her long-time boyfriend Anand Ahuja. Sonam might not have made it official about her relationship with Anand but their social media PDA is enough to prove that they are too much in love with each other. Sonam and Anand are going strong in their relationship and moreover, Anand is already a part of the Kapoor family. He is seen at every Kapoor family functions and gatherings. His bonding with Rhea Kapoor and Arjun Kapoor is no news. Speculations are rife that after Anushka Sharma and Vikat Kohli’s wedding, Sonam has decided to tie the knot with boyfriend Anand. The Delhi-based businessman was recently spotted shopping at Raj Mahtani’s jewellery store in Kolkata. A source revealed to IndianExpress.com that Sonam was accompanied by her rumoured beau Anand’s mother. This fuelled the rumours of their marriage. Reportedly, the two will be having a royal Rajasthan wedding and will be attended by some 300 special guests. She further added saying that how she is busy with back to back films PadMan, Dutt and Veere Di Wedding. Other than this, Sonam also told that she will begin shooting for Vidhu Vinod Chopra’s next in February-March.